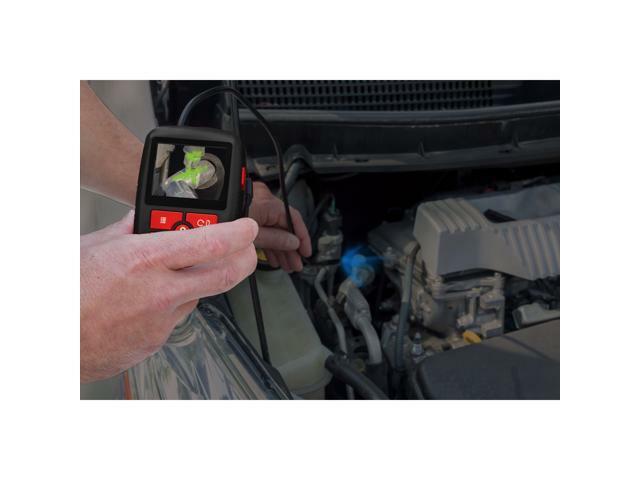 View and inspect just about anything, anywhere with the Powerbuilt Digital Videoscope and Borescope! It’s durable, compact and easy to use. The 18-inch long semi-rigid camera shaft stores inside the unit. When you’re ready to use the camera, unwind the cable and feed the 300 megapixel camera lens into an opening as small as 5/16” diameter. 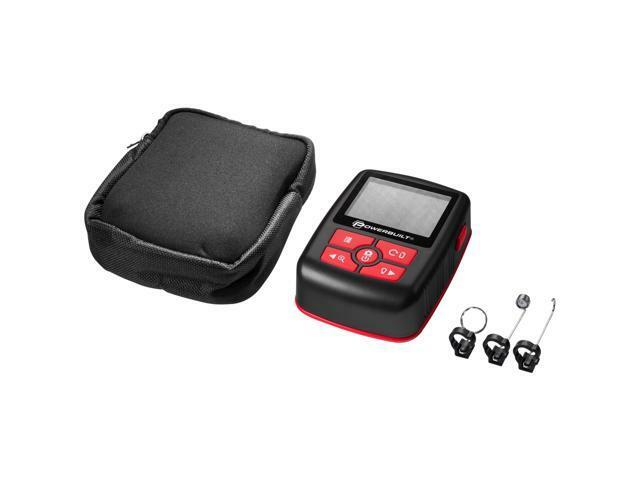 Then view and capture images on the 2-1/4” color LCD display. Adjust the built-in LEDs on the camera tip for more or less light. 4x zoom makes it easier to find and inspect fine details. 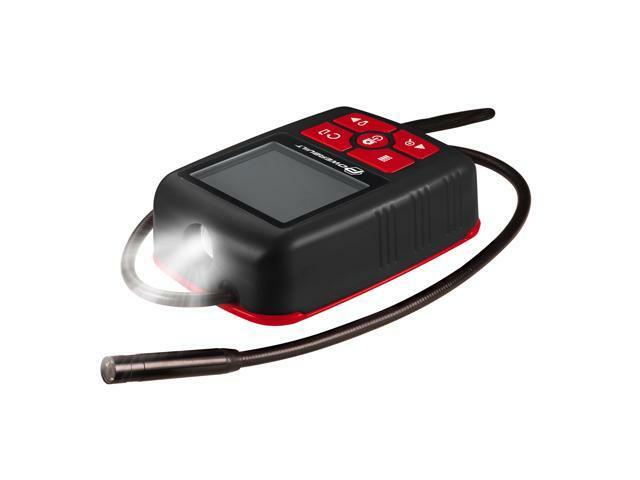 And you can select either white or UV light, depending on your inspection needs. 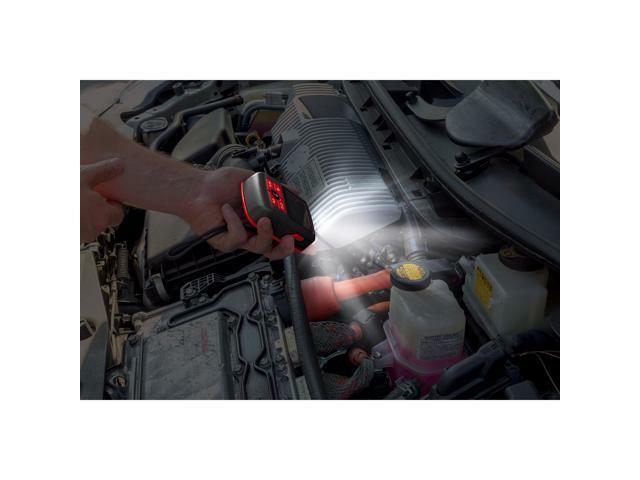 There’s even a built-in worklight on the camera body for illuminating dark worksites. 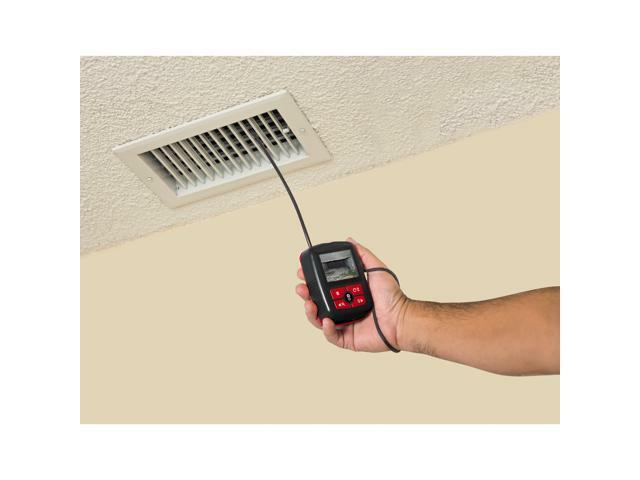 Use the included attachable hook, magnet or mirror to help see and retrieve small objects. Store everything in the included pouch for safekeeping. 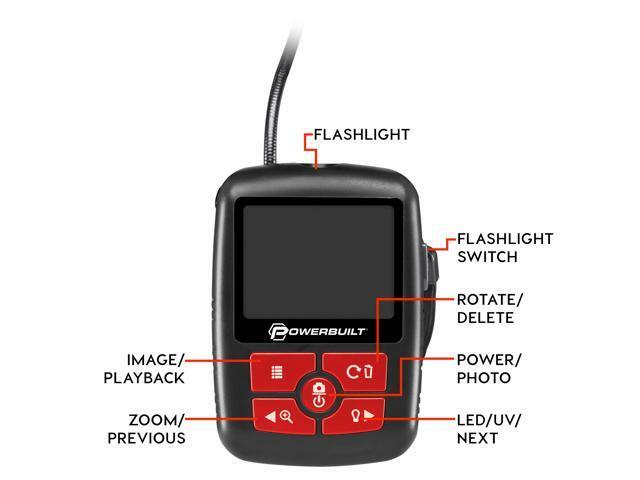 The Powerbuilt inspection camera operates up to 90 minutes continuously on 4 AAA batteries (not included). This item is covered by ToolSmithDirect Return Policy.